What is REST API ? In my words, Getting data from Other System or Same System using HTTP request is known as REST API. If you know, how website works, you know REST API. Before REST API, there was SOAP request which needed lots of configuration and very tightly coupled. If you make any modification , you had to modify client side also by generating stubs / proxy classes again. There were many more disadvantages which got address by REST API. However, it doesn’t mean we don’t need SOAP. Back to REST API, It is very simple to setup and almost any programming language can make HTTP request so very easy to get data from other source. Return type of REST API can be XML, Simple HTTP, JSON or any media like image. However, JSON is very popular response type amongst all. In Past, I have already written one article demonstrating REST API usage. 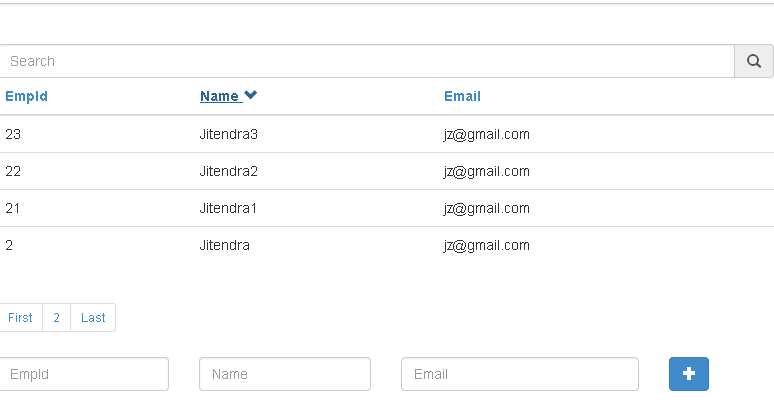 How to use Salesforce REST API using JQuery in Visualforce ? REST API Playground : I have created Simple Visualforce page, which demonstrates how to use REST API of Salesforce. 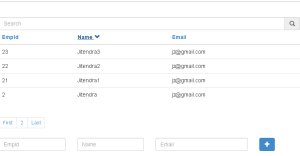 It is written in Visualforce with the help of JQuery. You can study this code and play with it in your organization, you just need to copy and paste it. You also need to add URL “http://cdnjs.cloudflare.com” in Remote Site Settings, so that salesforce will allow Visualforce page to get JQuery library from CDN. In this series, we have gone through many articles on AngularJs. This time I will discuss about Dependency Injection in AngularJs . Dependency injection is a software design pattern that allows the removal of hard-coded dependencies and makes it possible to change them, whether at run-time or compile-time. Before going to DI first we have to know about Service. What is Service , factory or Provider in AngularJs? They all are same, with different way of writing. This (Singleton design pattern) defines dependency between your controller and View through application. We can Inject a service in Controller, which will watch over changes automatically and change its View as per required.